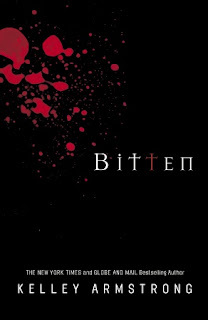 Homicide detective Adam Garrett is already a rising star in the Boston police department when he and his cynical partner, Carl Landauer, catch a horrifying case that could make their careers; the ritualistic murder of a wealthy college girl that appears to have Satanic elements. One night, Dr. Julius brings the siblings together for a "research experiment" at the British Museum, where he hopes to set things right for his family. Instead, he unleashes the Egyptian god Set, who banishes him to oblivion and forces the children to flee for their lives. Soon, Carter and Sadie discover that the gods of Egypt are waking, and the worst of them - Set - has his sights on the Kanes. To stop him, the siblings embark on a dangerous journey across the globe - a quest that brings them ever closer to the truth about their family, and their links to a secret order that has existed since the time of the Pharaohs. 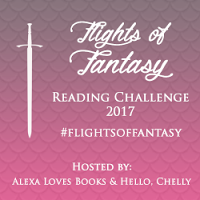 I absolutely love this weekly meme hosted by Sheila at One Person's Journey Through A World of Books. It's a great way to look back at what you read in the past week, take a look at what you are currently reading, and focus on what you intend to read in the coming week. 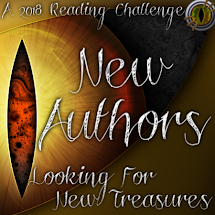 It's also a great way to check out some other blogs and see what others are reading and maybe discover some new authors or new books (exciting!!!). If you are interested, check out Sheila's blog and come PLAY! Click on the title to see my review. My favourite of the series so far. A good book for grades 5-9.
Review copy provided by Outskirts Press. Review copy provided by Penguin Group Canada. I know it's really weird that I read more than 1 book at a time, but I have always done this and I couldn't fathom doing it any other way. Review copy courtesy of Penguin Group Canada. Review copy courtesy of HarperCollins Publishers. How was everyone else's reading week? Hope you accomplished everything you wanted. This looked like so much fun, I just had to try it. Welcome to the Land of Mann hosts a weekly meme posting questions each week that you have to answer about yourself so other bloggers can get to know you a little bit better. Today's post is a guest post by Ian over at The Daily Dose of Reality. It just seemed like the natural thing to do once I started doing book reviews a year earlier. I neede an outlet to express my opinions and simply reviewing books and posting them on someone else's blog wasn't enough anymore. Besides, it looked like a lot of fun. 2) Who is the blog friend you would want most to meet in 'real life'? Before she left, it would have been J. Kaye as I was in awe of her blog. There are so many great blogs out there, I would like to meet so many of them and ask so many questions, it is hard to pick out any particular person anymore. 3) Why are you always concerned with losing that extra '10 pounds' when chances are your husband/boyfriend/friends tell you that you look just fine the way you are? It has to do with you. If you want to lose 10 pounds, then you need to do it for yourself if it makes you feel better. If you feel fine, don't do it. We're pretty good now, but I know when I used to discuss something with my husband, he was always trying to solve my problems. It took a long time before he finally understood that I could solve my own problems, just as well as he could, and that I just wanted him to LISTEN! 5) Tattoos. How many do you have and how many are visible when you wear your 'everyday' clothes? None. Although I am rethinking the issue. I still remember my dad's face when he saw my sister's tattoo on her lower back for the first time when she was 18. Priceless! 6) What was the best year of your life and why? 2000 and 2002. It was the year my two babes were born. There is nothing more thrilling than having children come into your life. It was even better than the year I got married. Sorry, love! 7) Name three things you would do if you were a man for one day. 8) What's your alcholic beverage of choice that usually raises a few eyebrows? Unfortunately, nada. I usually drink Miami Vice's whenever I go away, like I just did in Jamaica last week. They are half Pina Colada, half Daiquiri and a whole lotta rum!!!! This is a great weekly meme hosted by Kristi @ The Story Siren. I like it because I find it an easy way to keep track of when I receive things in the mail or when I borrow things from the library. Five hundred years have passed since the Earth shifted on its axis - a catastrophic event that wiped out civilization and released the powers of the dead back to Earth. With technology long abandoned, a dark age has shrouded our world once more. Travel to a future world of blood sacrifice, demons, witchcraft, and an immoral God that has returned to reclaim his former dominion. A near-future tale of the U.S turned into a dictatorship and surveillance state with every person's actions monitored by a chip implanted into their necks. Click the title to see my review. I read it as soon as I got home from the library. You know, I went to the library intending to pick up the book that was waiting for me and that's it. I already have too many books to read as it is so I studiously avoided looking at the bookshelves as I went in, was great at avoiding the new arrivals section, but then the unexpected happened. At the last moment possible, this book appeared and it leapt from the cart right into my hands and would not go back into the cart. So I took it home. From Jeanne Kalogridis, the best-selling author of I, Mona Lisa and The Borgia Bride, comes a new novel that tells the passionate story of a queen who loved not wisely...but all too well. I went to Chapter's on Saturday and to my dismay (and delight), they have a sale going on right now. If you buy 3 books, you get the fourth one for free. Or 20% off any YA novel in the store. Talk about trying to reign it in. My ploy is to go back several times so I don't spent it all at once. These ones I bought for my kids and to start the children's reviews I keep promising. Okay, this one was for me. I love this author! And now so does my son. One of the few times I was influenced to buy a book simply because I really liked the cover. I tend to buy these books on sale whenever I see them simply because I like this author and I hope my children will want to read these one day. Being able to see the future is supposed to be a gift, but Emily's visions have caused nothing but problems. Now the Gifted students are disappearing one by one, and Emily's gift is their only hope of having a future at all. 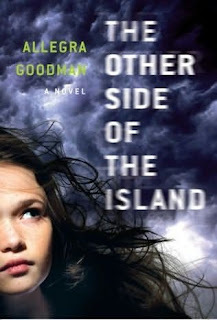 Considering this is a pre-adolescent novel intended for the grade 5-9 level, I have been enjoying these novels very much. This third book in the series is my favourite book of the series so far. They are very quick, easy reads (I think it took me less than an hour), but each one is very entertaining and interesting. 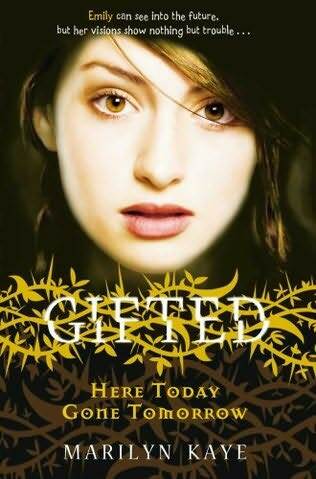 In this novel, the gifted students are being taken one by one for reasons that nobody knows. At first no one is alarmed, but when the third student goes missing, Emily, is very concerned as she has been having visions of the missing students. She is very confused by her visions as they do not make a lot of sense, and her mother and friends, upon whom she needs support, are not giving her the support she needs to gain the confidence to use the visions to help others. She is also carrying a load of guilt that has to do with her visions, but I will not be giving away the reason for that here in this review. When Emily realizes that little is being done to find her missing friends, she develops the nerve and confidence to do the unthinkable: she heads out at night to put herself at the mercy of those who have taken her friends in order to help them. What I really like about these novels is that each one focuses on each indibidual character and tells their story. This one tells Emily's story and it is so far my favourite one of the series. The vocabulary is simple and straightforward, and the writing clear. 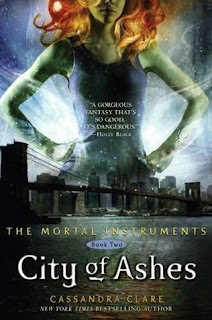 I find the characters interesting, with a lot of character development occurring, something that can happen in a series such as this one that continues for many books. I find myself rooting and carng for these characters, even the ones I initially disliked, some of which I did dislike in the beginning. One of the things that did irk me in this book though, was the lack of involvement of the police when the children did go missing. As a parent, I would have been kicking and screaming at the police officer's door, begging them to look for my missing child, and that did not happen in this novel. The only scene that satisfied me was when Emily's mother took the principal and teachers to task for her missing child and was screaming herself silly in the hallway over her missing child. Come on, when children go missing, there will obviously be a much greater fuss than what occurred in this novel. This was my favourite novel of the series so far for many different reasons. I like the plot advancement in this novel, particularly at the end when we discover so much more as to what is going on and it made me much more interested in the novels that are coming. This novel was a set-up for some future plot and I found that intriguing. I am looking forward to the next book in the series, Finders Keepers, which is to be released in April 2010. This is a fantastic weekly meme hosted by Hearts Make Families, One 2 Try and Midday Escapades. get instructions on how to participate in this great weekly blog hop. It's Friday! It's time to HOP!!! 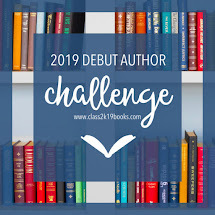 I am joining this Book Blogger Hop hosted by Crazy for Books as a fun way to check out some of my favourite types of blogs, yes, of course, book blogs. If you are interested in joining in on the fun, finding some new friends and followers, and discovering some great new blogs, check out Jennifer's blog for some great information and to sign up. The only consideration for this hop is that your blog should have content related to books, including but not exclusive to book reviews. Every once in a while I like to feature some older novels on my site instead of always the new releases or the soon-to-be-releases. Today's novel, Death at Glamis Castle, written by Robin Paige, is actually written by the husband-and-wife writing team Susan Wittig Albert and Bill Albert. They are the co-authors of more than sixty novels. 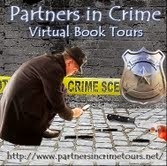 Susan Wittig Albert is also the author of the China Bayles mysteries. Charles Sheridan and his American wife, Kate, are on an archaeological dig, excavating sections of Hadrian's Wall, when they receive a mysterious telegram. King Edward has summoned them to Glamis Village, a quaint hamlet north of Edinburgh, without telling them why. Upon their arrival, they discover that they will be staying at Glamis Castle. Nestled in the rugged Grampian Mountains, it is the most historic castle in all of Scotland, a place teeming with dark secrets and haunting shadows. For Kate, this is the perfect opportunity to gather much-needed inspiration for her next Gothic novel. But while she winds her way through the elaborate manor, gleaning the mysterious history of those who have dwelt there, Lord Charles discovers the real reason behind their journey to Glamis. This book centers around one of the great conspiracy theories of the late 19th century. It was no secret that Prince Eddy was a huge disappointment and embarrassment to the royal family and that many people were relieved when he suddenly passed away in 1892. The book uses the concept that Prince Eddy did not in fact pass away, but was secretly sent in exile to Glamis Castle in order to avoid complications with the rest of the royal family. When Prince Eddy was discovered missing, King Edward sent Sir Charles and Kate to discover his whereabouts in order to avoid a possible breakdown of the monarchy should the deception ever be discovered. The author provides an exceptional background to this story and I was thrilled to read more about the history of Glamis Castle. The characters remained true to the time period and were interesting and quirky. Unfortunately, I found the plot to be somewhat thin and boring, especially as we discover the mystery fairly early into the novel. I prefer my mysteries to be full of plot twists and turns, whereby I have no clue who did what to whom or why until the end of the novel. It's too bad as I really liked the other books in this series. Although this is an enjoyable read with many interesting historical tidbits, I would recommend some of the earlier novels in this series before I would recomment this one. Waiting on Wednesday is a weekly meme hosted by Jill of Breaking the Spine that gives us a chance to drool over upcoming releases. It's also a great way to check out other blogs and see what other books have been discovered that will soon be released. 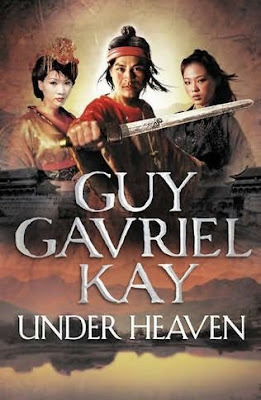 Since the Fionavar Tapestry, Guy Gavriel Kay has become one of my favourite fantasy authors and I am looking forward to this forthcoming release on April 27, 2010. It begins simply. Shen Tai, son of an illustrious general serving the Emperor of Kitai, has spent two years honouring the memory of his late father by burying the bones of the dead from both armies at the site of one of his father's last great battles. In recognition of his labours and his filial piety, an unlikely source has sent him a dangerous gift: 250 Sardian horses. You give a man one of the Sardian horses to reward him greatly. You give him four or five to exalt him above his fellow, propel him towards rank, and earn him jealousy, possibly mortal jealousy. Two hundred and fifty is an unthinkable gift, a gift to overwhelm an emperor. 2. Contest is only available to those in the US and Canada. No P.O boxes please. without an email address will not count. 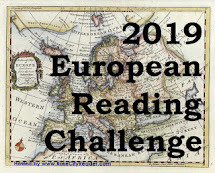 Contest is open until April 9, 2010. Mix the rich, descriptive romantic writing of Deeanne Gist with the suspensful and plot-twisting writing of J. Mark Bertrand and you have the setting for a novel that certainly did not disappoint. Reporter Logan Woods is following the break-ins with the hope of publishing his coverage as a true-crime book. The more he digs, the more he realizes this beguiling dogwalker seems to be at the center of everything. The characters in this novel grabbed my attention right from the beginning. I found Rylee (don't you just love her name?) 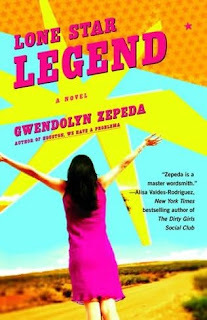 to be very likeable, headstrong, opiniated, but with a sensitive streak that came out throughout the novel. To watch her break down the walls she had built up over her heart over the years and learn to trust those around her was very heart-wrenching and heart-warming all at the same time. Logan reminded me of a man every mother would want their daughter to meet as he is caring, kind, but strong-willed at the same time, a perfect match for Rylee. I enjoyed the fact that their relationship developed over time and did not have that instant attraction that is so common in many novels as I've always enjoyed the build up. The rest of the characters were quirky and interesting and I enjoyed the interactions and dialogue amongst them. If the dialogue was somewhat stilted at the beginning of the novel, possibly the blending of two voices/authors, it soon smoothed itself out and you didn't notice it anymore by the middle. The plot itself was interesting, with many twists and turns and intriguing elements. This is the first time I believe I've read a book where the heroine is a dogwalker so I really enjoyed that concept and the many sticky situations that result. The scene where Rylee first meets Logan is hilarious and I love his leap onto the monument and his subsequent reactions to the dog Rylee is walking. 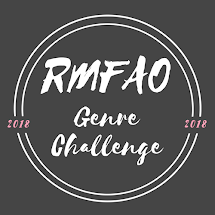 While very lighthearted in many scenes, there are certainly many darker elements as Rylee is stalked and bated throughout the novel and both Rylee and Logan have to discover who is stealing all the priceless ornaments from the homes before Rylee loses her freedom and her career. Luckily, having two authors didn't affect the suspense at all in this novel. My only small nitpick is with the title as I am still not sure, even after having read the novel, how it fits in with the novel. Maybe I am just not seeing the big picture, and I have tried, but I'm still not convinced I really like the title. Ms. Gist and M. Bertrand have crafted a novel that was very entertaining, even if it was a bit predictable. I enjoyed reading about Charleston as I love to read about any cultural element in any novel and I certainly enjoyed the suspensful and romantic nature of Beguiled. The subtle faith element was also there, a bit of Christinanity, but Christian or not, it is still a book to be enjoyed by anyone. Hopefully, these two authors will continue to collaborate on future novels. 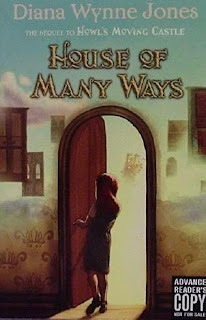 This book was provided to me by Bethany House Publishers. Today's Musing Mondays is about TBR Books. "Where do you keep the books on the top of the TBR pile? 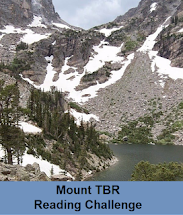 Not the bunk of the mountain, but just the tip of the peak - the 'almost up to' books?" I actually spent the past day cleaning up some of my books as I noticed they were getting out of control again. As I speak though, I've got three books piled on one side of me and five more piled on another side of me with one lying on the floor, all in order of importance or priority. I've got several on my bedside table as well as I like to read before bed sometimes but I don't like to get out of bed if I finish something. I did promise my husband that I won't leave them lying anywhere else and I've pretty much kept to that promise once he built me a huge bookshelf down in the basement. I do have a special area where I keep my library books and I'm pretty good about keeping them organized so I can return them on time (gotta love the online renewal system LOL!). 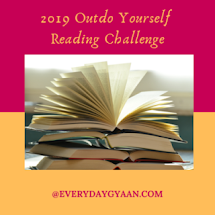 How are you with your own TBR books? 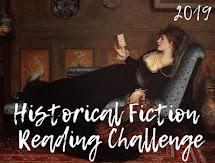 This is a wonderful weekly meme hosted by Sheila at One Person's Journey Through a World of Books. I find it a great way of organizing my thoughts as I head into the next week, especially as the books start piling up. I also find it a great tool to keep track of what I have read and when I have read it. It's also a lot of fun to discover what else everyone is reading. If you are interested, go check out Sheila's blog and sign up. 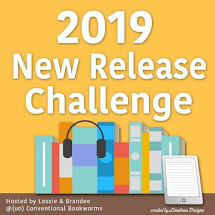 1) Beguiled by Deeanne Gist and J. Mark Bertrand - Review coming soon. I am almost finished most of the currently reading books so I'm hoping to be able to finish everything on the list this week. The only thing holding me back is possibly work (and a visit from the in-laws). absolute blast. It was so nice to soak in the sun and relax! Here is a view of the water from our resort. In My Mailbox is a weekly meme hosted by The Story Siren. It's a way of sharing what you have received in your mailbox this past week with others. It's also a great way to keep track of what you have bought, won, or received for review throughout the weeks. I also love to see what others are reading out there. Former FBI Special Agent Will Piper solved - and survived - the "Doomsday Killer" case...and his reward was a forced early retirement. But the shattering truths he learned about the government's most covert operations won't let him rest - and now he's on the trail of a mysterious volume that's been lost for six centuries. This is the book that inspired Shakespeare and the prophecies of Nostradamus, and once Will gets his hands on it, his life will be worth nothing - his death sentence a top priority handed down from the very highest levels of power. This is a weekly meme hosted by Should Be Reading that talks about the books you have discovered in the past week. This book was given to me by a friend as she thought I would be interested, especially as I teach teenagers. I haven't read it yet, but it sounds intriguing. Lia and Cassie are best friends, wintergirls frozen in matchstick bodies, competitors in a deadly contest to see who can be the skinniest. But what comes after size zero and size double-zero? When Cassie succumbs to the demons within, Lia feels she is being haunted by her best friend's restless spirit. In her most emotionally wrenching, lyrically written book since the multiple-award-winning Speak, best-selling author Laurie Halse Anderson explores Lia's descent into the powerful vortex of anorexia, and her painful path toward recovery. If you find me on Friday Follow I promise to follow you back. but I will follow you back as soon as possible. If you are interested in joining in this fun weekly meme, visit Midday Escapades, One 2 Try, or Hearts Make Families for all the information. Just Watch Me, The Life of Pierre Elliott Trudeau, 1968-2000 by John English is the winner of the Writer's Trust of Canada's $25 000 Shaughnessy Cohen Prize for Political Writing. It was awarded to the author Wednesday night in Ottawa. This fantastic non-fiction novel was also shortlisted for the prestigious Charles Taylor Prize, a Canadian literary award presented by the Charles Taylor Foundation to the best Canadian work of literary non-fiction. This is definitely a book to be added to my wish list. He looks at the hardships and rewards of being an investigative journalist. This is about a passionate call for Canadians to reengage with our country and its culture before we fall as a nation. His experiences as a doctor working for Medecins Sans Frontieres (Doctors Without Borders) in the contested border town of Abyei, Sudan. He was part of the 1960s Quiet Revolution that saw the province of Quebec become a secular society bent on economic success, and for some, political independence. In Morocco, an English couple discovers a clay tablet covered in ancient writing. One day later, they are dead. 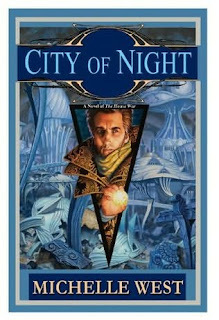 Called to North Africa to investigate, Detective Chris Bronson follows a trail of clues that leads him from the hustle of a Moroccan market to the deserted caves of Qumran; from the sinister echoes of a water-filled tunnel under the city of Jerusalem to a windswept fortress whose name spells death. Threatened on every side by ruthless men with their own agendas, Bronson is plunged into a mystery that has gone unsolved since biblical times. For the stone he must find is older and far more dangerous than he could ever have imagined. 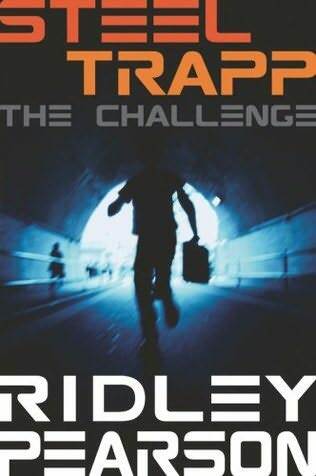 The book is an entertaining, fast-paced read with many plot twists and turns. I found that even though the plot moved quickly, it was easy to understand, the characters' motives easily comprehensible to the reader. While it does have its moments of violence, and they are very clearly detailed and explained, this does not deter from the novel as they are few and far between. I really enjoy mystery and suspense, but I am not one for a lot of violence and big explanations on how people are killed; I can do without all the gory details. I really enjoyed the historical aspect to this novel. As my family already knows, toss the following words around, 'quest', 'treasure', 'historical', 'Biblical', long lost', 'clues', and 'maps' and you've got one hooked reader. I loved learning about all the history and the explanations about all of the different places that Angela and Chris visited. Any history buff would enjoy this aspect of the novel. I did feel that some of the elements were just too coincidental as to be entirely believable however. That Chris would be chosen to investigate a death in Morocco didn't quite ring true, especially one that was not suspicious in nature until he went to Morocco. I'm not entirely sure what the intricacies are from one nation to another, but I would be surprised if one could just walk in and interfere with another country's police investigation unless there was good reason to do so. Involving Angela in the investigation was also tricky as she was family, even though she is Chris' ex. She was also not an expert in the field of archaology they were researching, so I'm also pretty sure that she would not have been cleared officially to work on this case. When Chris and Angela started sneaking around and stealing items, it was so much more believable. I wondered at times if the author thought the reader would just gloss over these elements and see them as unimportant, or if he thought we really wouldn't know how the judicial system worked so it wouldn't matter. I was also concerned over how quickly Angela and Chris were able to decipher clues that hadn't been deciphered in years. Becker himself mentions in the novel that it sometimes takes a team of archaeologists years to translate ancient scrolls discovered in the past, yet these two, and the enemies following them, managed to do in days, what archaeologists couldn't do in years. Too coincidental for me! One of the things I would like to see in future books is more of a development in the personal relationship between Angela and Chris. I felt like their characters and relationship were unfinished or untouched in order to focus more on the storyline, and I would like to see as much emphasis on growth and development of the characters as on the plot. In summary, if you love historical and Biblical references mixed in with suspense and mystery, then you will enjoy this novel. It is fun, enjoyable, fast-paced, with enough twists to keep you interested until the last chapter as long as you are able to keep an open mind. Note: The author includes a fascinating Author's Note that describes many of the places and events Chris and Angela visited throughout the novel. It really emphasizes the amount of research the author has done for this novel. This is a wonderful weekly meme hosted by Breaking the Spine that features upcoming new releases that we are anxiously awaiting. 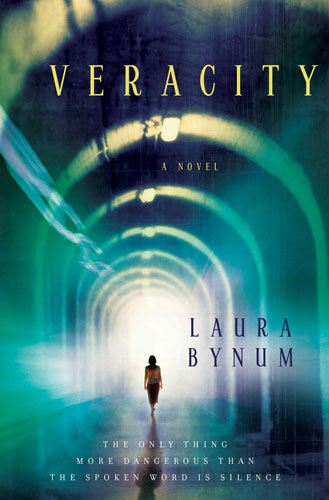 I know myself I am getting to the point that I am somewhat vexed at a novel that leaves you hanging by a thread at the end, and you realize you have to wait until the next one to find out what happens. 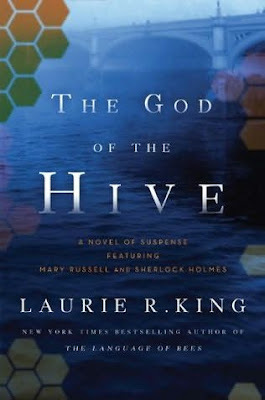 This is the case with Laurie R. King's The Language of Bees and I am thrilled to know that The God of The Hive is soon to be released. His eyes. His touch. His kiss. Dante was unlike anyone Abby had ever met. Now he is gone and Abby will do anything to get him back. The hourglass door has closed behind Dante, sending him back in time to hunt down Zo, Tony and V. Abby knows that Dante, as the Master in Time, is the only person capable of stopping them from destroying time itself. She also knows that he will need her help. But, almost immediately, things start to change, and Abby's worst fears are realized when Zo begins targeting her past specifically. As Abby's world fractures around her, she must face a terrible truth: either Dante didn't make it through the door, or he is lost forever. So with Dante's blueprints in hand, she begins construction on a new door, another machine through time that will either save Dante or doom him. It began as a problem in one of Holmes' beloved beehives, led to a murderous cult, and ended - or so they'd hoped - with a daring escape from a sacrificial altar. Instead, Mary Russell and her husband, Sherlock Holmes, have stirred the wrath and the limitless resources of those they've thwarted. Now they are separated and on the run, wanted by the police, and pursued across the Continent by a ruthless enemy with powerful connections. Unstoppable together, Russell and Holmes will have to survive this time, maintaining tenuous contact only by means of coded messages and and cryptic notes. With Holmes' young granddaughter in her safekeeping, Russell will have to call on instincts she didn't know she had. But has the couple already made a fatal mistake by separating, making themselves easier targets for the shadowy government agents sent to silence them? My First Giveaway - 50+ Followers!!! I am so excited to host my first giveaway. I promised that I would do this as soon as I hit 50 followers and this happened much sooner than I expected. There are so many great books being released in the next few months that it is an exciting time for book lovers everywhere. 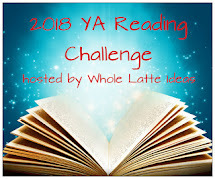 You have the opportunity to win any book from The Book Depository. Yes, that's right, any book (under $20 please). Contest is open internationally, as long as The Book Depository ships to where you live. 1) Simply comment on the book you wish to win. (You may change your mind later.) Please leave your email address with your comment or your entry will not count. Contest ends March 31, 2010. This a great weekly meme now being hosted by One Person's Journey Through a World of Books. It's a great way to look back on the week to see what you have read, what you are currently reading, and what you intend to read in the week ahead. 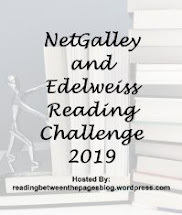 It's also a great way to connect with other bloggers to see what they read, or intend to read, to discover new books or authors you may not have heard about, and to make new friends. 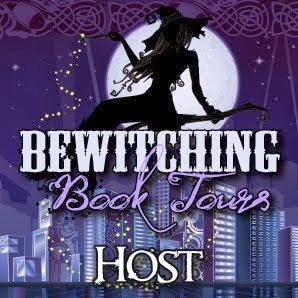 So head on over to Sheila's site, sign up, and if you comment on at least 10 other blogs, you even have a chance to win a new book. 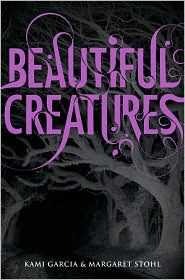 1) Beautiful Creatures by Kami Garcia and Margaret Stohl - I finally managed to finish the book. Read my review if you get the chance. 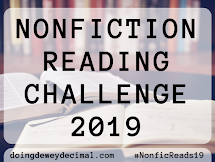 2) Gone by Lisa McMann - Picked this up at the library and started reading it there while my kids were at Reading Circle and finished it later that night. My review is also posted on my site. 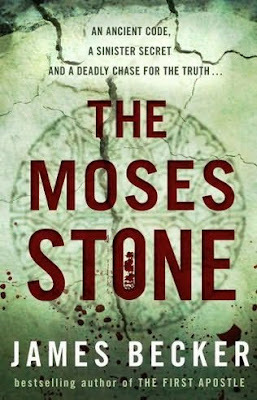 1) The Moses Stone by James Becker - I am almost finished, and will post review soon. 3) City of Night by Michelle West - I just started this book. I am on holidays next week so I will hopefully be catching up on my reading while soaking up the sun. Unfortunately, I promised my husband no internet for the week too, so I will be AWOL for a week starting Friday. I will also be having my first contest soon! I promised myself I would do that as soon as I hit 50 followers and that happened far sooner than I expected. Thanks to everyone for being so supportive of my new blog, it's been exciting so far!!!! In London, Edward Dacres, takes advantage of a case of mistaken identity and joins a tour of artist and poets who have been dispatched to bring culture to the colonies just as war breaks out in Europe. Tempted by a brass magnate's assertion that Toronto holds many opportunities for a portrait painter, and assuming that his Englishness will lead to commissions there, Dacres jumps off a moving train on its way to Windsor and settles in Ontario's capital city. As success eludes him and he spirals downward, a chance encounter with the brass magnate's daughter pierces his armour of bravado and self-destruction. 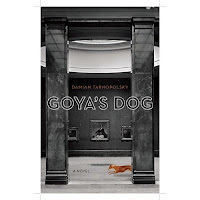 Goya's Dog is a compelling story of an artist at war with himself. Daniel O'Thunder, a troubled but charismatic prize fighter turned evangelist, runs a safe house for those in need. But in the dark streets an ancien evil is stirring, throwing into peril the lives of the city's most vulnerable souls. O'Thunder, no longer young but still wielding a right fist dubbed "The Hammer of Heaven", returns to the ring to start training for his greatest fight yet - with the Devil himself. Daniel O'Thunder is a novel of amazing wealth of character and variety of voice. Comedy bumps up against cruelty, tragedy against farce, inhumanity against love - a remarkable debut that is hilarious, harrowing and deeply moving. What would it have been like to sit at the feet of the legendary philosopher Aristotle? Even more intriguing, what would it have been like to witness Aristotle instructing the most famous of his pupils, the young Alexander the Great? In her first novel, acclaimed fiction writer Annabel Lyon boldly imagines one of history's most intriguing relationships and the war at its heart between ideas and action as a way of knowing the world. Exploring a fabled time and place, Annabel Lyon tells her story, breathtakingly, in the earthy, frank, and perceptive voice of Aristotle himself. With sensual and muscular prose, she explores how Aristotles's genius touched the boy who would conquer the known world. And she reveals how we still live with the ghosts of both men. Todorovic's "The Book of Revenge" won The Nereus Writers' Trust Non-Fiction Prize in 2007 so it is no surprise that his novel would be nominated for several awards. Diary of Interrupted Days has also been nominated for the 2010 Commonwealth Writers' Prize in the Caribbean and Canada Best First Book Category. Congratulations and good luck Mr. Todorovic. I loved 'The Book of Revenge'. The war that dismembered his country still haunts him, but what has him frozen is that the disruptions of war allowed him to steal happiness for himself from his best friend, with the likelihood that he would never be caught. But lies, even artful ones told by someone adept at incinerating the past, have a way of catching up to you. As the man on the bridge is about to find out. It's 1986, and Lydia Devlin - a nice Jewish girl - meets Farid Salibi - a nice Lebanese boy - while on vacation in Greece. Theirs is a sun-soaked, carefree romance, until Farid's cousin Mouna, comes to visit, and the drama of their real lives brings them crashing back to earth. Neither of the lovers knows what Mouna knows: that the two were connected long before they ever laid eyes on each other. Lydia's father was a British journalist killed in a rocket attack while covering the conflict in Beirut in the early 1970s. Farid's and Mouna's uncle was Lydia's father's translator, also killed int he attack. Much speculation surrounds the circumstances of their deaths, specifically the involvement of a notorious female Palestinian terrorist names Rafa Ahmed and the nature of the relationship between Rafa and Lydia's father. Mouna, a child at the time of her uncle's death, has placed the blame squarely on the shoulders of Lydia's father. 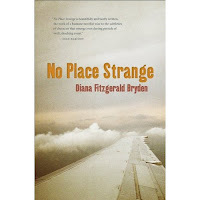 No Place Strange is a complex and ambitious debut novel that succeeds on many levels. In My Mailbox is a weekly meme hosted by The Story Siren. It explores the books you have received in the mail in the past week, have bought, or may have taken out of the library. All you have to do is visit her fabulous blogsite and sign up. It is a great way to organize those books every week and to keep track of what you have received. After a long absence, novelist CJ Baxter returns returns to his hometown of Adelia in upstate New York for his grandfather's funeral. Facing a messy divorce and doubting his talent as a writer, CJ is forced to confront secrets that have tormented since his childhood. To complicate matters, CJ's brother is running for a Senate seat, and the family is intent on keeping the most damaging secret - surrounding a murder and its cover-up - in the family, for fear the truth would ruin Graham's chances at winning. CJ must find a way to remain safe while coming to terms with the newfound faith that compelled him to return to Adelia in the first place. Rylee Monroe walks dogs in old-money Charleston, a part of the city recently targeted by a daring thief. Logan Woods works the crime beat for the local paper but dreams of a life as a non-fiction writer. When the string of robberies takes a strange twist, Logan sees the making of a once-in-a-lifetime book that seems to circle around this charming, eye-catching dogwalker. But pursuing the truth means ignoring the fact that he seems to be falling for her. And what is she hiding in her past that could crack the case wide open? Gone by Lisa McMann - I read this one already. Look for the review soon. There were no surprises in Gatlin County. At least, that's what I thought. Turns out, I couldn't have been more wrong. There was a curse. There was a girl. And in the end, there was a grave. Lena Duchannes is unlike anyone the small Southern town of Gatlin has ever seen, and she's struggling to conceal her power and a curse that has haunted her family for generations. But even within the overgrown gardens, murky swamps, and crumbling graveyards of the forgotten South, a secret cannot stay hidden forever.Ethan Wate, who has been counting the months until he can escape from Gatlin, is haunted by dreams of a beautiful girl he has never met. When Lena moves into the town's oldest and most infamous plantation, Ethan is inexplicably drawn to her and determined to uncover the connection between them.In a town with no surprises, one secret could change everything. I have been waiting to read this book for quite a while now and I was not disappointed at all. Beautiful Creatures is a book to be treasured, not just for its paranormal element, but for its forbidden love story, its plot twists and turns, and for characters who make you care and believe in what they believe in and just draw you into their stories. The story is set in a small southern town with very deep roots in the past, in particular the civil war past. While there are many references to the civil war, and the authors are very accomplished at showing the obsessiveness of small town civil war re-enactments and their ties to the past, in no way is this novel historical in the usual sense of historical novels. The authors weave the stories of the civil war into their plot very seamlessly and while the civil war does play an important role in the development of events in the present, that's all it does play. My history of the civil war is not very fresh and I did learn some interesting tidbits that I didn't know before, but a lot of it was for interest's sake and to weave the characters and the plot together. The plot itself was not that unusual. 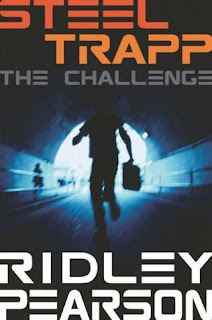 While the plot was interesting and fun to read, with plenty of twists and turns, I didn't find anything in it that stood out from other novels that I had read. What did stand out for me was the characters and the characters' development. In that area, the authors were fantastic. I really think that character development can often make or break a novel, but in this novel the characters were unique and remained true to themselves throughout. The dialogue was interesting and fun to read, the characters were often quirky, and some characters did surprising things that made the book even more fascinating to read. I especially loved Ridley, Lena's cousin, who was such an interesting character. She has such aspects of evil and compassion to her that I didn't know whether to like her or hate her. I also developed a fondness for Uncle Macon, and spent a lot of time trying to figure out who he was and what his role was in this novel. I found the characters to be quite fascinating and I loved trying to figure out all of their roles and how they figured in the events that were swirling around Lena and Ethan. Lena and Ethan's relationship was also something that I found beautiful in Beautiful Creatures. It all began so slowly and developed into a loving relationship without all of the teen angst that you see in so many other young adult novels. They had real conversations and respected each other very much. I also liked that the novel was in Ethan's point of view, which gave it an unusual twist. I found myself really enjoying the male point of view to events that I know I would have looked at quite differently. I definitely liked the paranormal aspect to this novel as well. Give me a huge mansion, dark secrets, a town that whispers about secret events, witches, spells, and other such things, and you've got one hooked reader. Wrap all of this around such fantastic character development and the way the authors tease you with small tidbits of information at a time about the events occurring in the novel, and I could hardly put it down at times. Give me secret tunnels, magic, dark mansions, and secrets anytime. All I needed was a ghost (should I talk about that too?) and you've got the makings of a story that I absolutely would love and did. There is no question there will be a sequel. The way it was written towards the end definitely suggests that the book will continue. Because of this, I found the ending did not quite have the sense of closure that it could have and I was not completely satisfied. What is great is knowing that Ethan and Lena's story will continue. This book was a treat to read and I truly enjoyed Lena and Ethan's adventures and their rush to discover the truth before time ran out. I am looking forward to the sequel and can't wait to discover more family secrets and treasures. On a completely different tangent though, I had an evening to myself the other night. This rarely happens and instead of going to bed early as I was exhausted, I ended up watching a movie I've wanted to see for quite a while now, The Duchess. I told myself I would only watch about 45 minutes and watch the rest on Thursday. Who was I kidding? I don't know why I do that to myself as I am the worst when it comes to books. You know, I will only read to the end of the chapter and then put the book down? And ten chapters later I am still reading. So why would I think I would turn the movie off after 45 minutes is beyond me. I must have been more tired than I thought. Anyways, I really enjoyed the movie. I have always been fascinated by The Duchess of Devonshire and the interesting living relationship between the Duke, the Duchess, and his mistress. I thought the movie did a fairly good job at trying to portray the difficulty Georgiana had with that relationship and her attempts to deal with it the best way she knew how. The movie focused a lot more on her relationships rather than on her political leanings and didn't really show how much of a gambler she really was, but I would definitely recommend it to friends. I've had the book on my bookshelf for quite a while now and am looking forward to reading it this summer when I have more time for personal reading. My daughter just woke up and I am grateful her fever is gone. Yes, one week away from holidays and the little darling ended up with 102 fever last night. Go figure! And what did the caring parents do? Panicked!!!! She slept 12 hours last night and looks to be better this morning. Hopefully she will be fine and it is just a passing thing. I will keep her in the house today though, just to make sure she is okay and to ensure she doesn't pass along anything to anyone else. I finished Beautiful Creatures last night. Wow! And I hit over 50 followers this week so I will be having my first contest very soon. I am so excited! Look for information to be posted soon.